According to investigators, employees of the Russian Federal Penitentiary Service dealt multiple blows "with their hands, feet and unidentified objects to the prisoner’s torso and limbs"
MOSCOW, August 2. /TASS/. 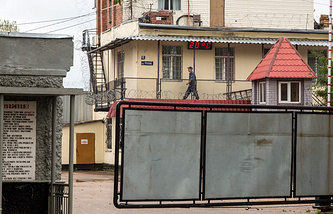 The Russian Investigative Committee has brought criminal charges against six prison guards of a correctional facility in the city of Yaroslavl northeast of Moscow for beating up an inmate, the committee’s spokesperson Svetlana Petrenko informed TASS. "Currently, twelve employees of the Russian federal correctional facility №1 in the Yaroslavl Region are involved in this criminal case. They are are Maxim Yablokov, Igor Bogdanov, Ruslan Tsevtkov, Alexei Brovkin, Dmitry Solovyov, Sergei Drachev, Ivan Kalashnikov, Sergei Yefremov, Alexander Morozov, Andrei Zybin, Alexei Andreyev and Alexei Mikityuk. 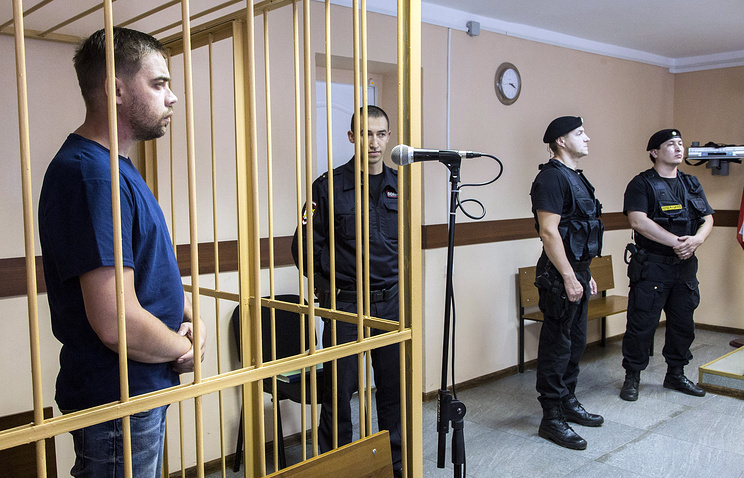 Taking into account the acts committed by them, Yablokov, Bogdanov, Brovkin, Drachev, Kalashnikov and Yfremov were charged with committing a crime under Part 3 of Section 286 of Russia’s Criminal Code ('Official misconduct with the use of violence and special tools')," she said. A 10-minute video released by Novaya Gazeta on July 20 shows individuals wearing Federal Penitentiary Service uniforms who were verbally abusing and beating a man. According to attorneys for the Public Verdict Foundation, which provided the video, the individual is Evgeniy Makarov, a prisoner at the Yaroslavl correctional facility №1. The incident occurred in June 2017. According to investigators, employees of the Russian Federal Penitentiary Service dealt multiple blows "with their hands, feet and unidentified objects to the prisoner’s torso and limbs." The Russian Investigative Committee in the Yaroslavl Region launched a criminal investigation based on official misconduct charges against six prison guards. Earlier, the federal prison authority condemned the behavior of these staff members and voiced regret over incidents such as these that discredit the service.